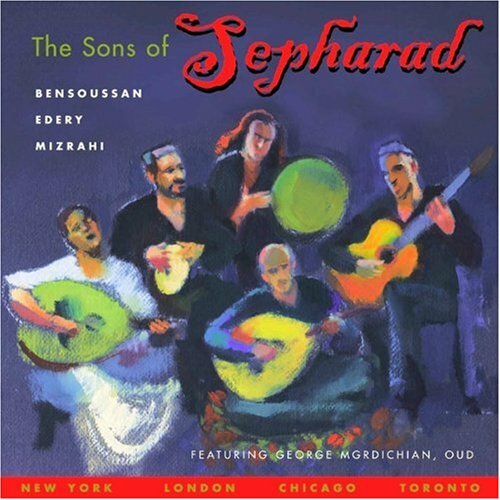 The Sons of Sepharad unites three world-renowned singers of Sephardic music—Aaron Bensoussan, Gerard Edery and Alberto Mizrahi—in a thrilling musical consort that takes audiences on a voyage of discovery. These brilliant artists embrace the rich musical trove of the Sephardim as a living legacy, plumbing its antique treasures as they contribute to its continuing evolution by composing new songs in the genre. Recorded at The Trees, Rhinecliff, NY | Bevis Mark Synagogue, London, UK | Temple Anshe Emet, Chicago, IL | Beth Emeth Bais Yehuda Synagogue, Toronto, Canada.